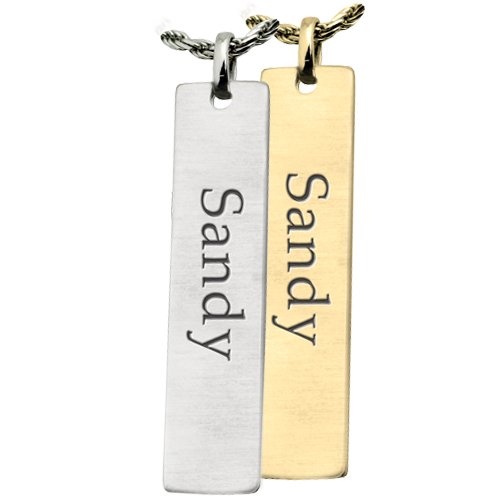 Create A timeless memorial with text engraving on the front of this classic bar pendant. Does not have interior compartment to hold tiny memorial or ashes. Back Options: You may personalize the back with additional text engraving included in cost.